Strangers usually come up to us and remark that both Ash & Ayd look incredibly alike. But until now, I still can't see the resemblance. Because to me, they are as different as chalk and cheese. And I don't just mean their appearance. Character-wise, they are as different as they can be. For one, Ash is definitely the more athletic one. He loves outdoor activities, better yet if they involve lots of climbing, jumping and tumbling. He picks up sports pretty fast, and loves it best when I play wrestling with him every other time. And it is for this reason that he adores his weekly Taekwondo lessons. More so now, since it involves sparring! 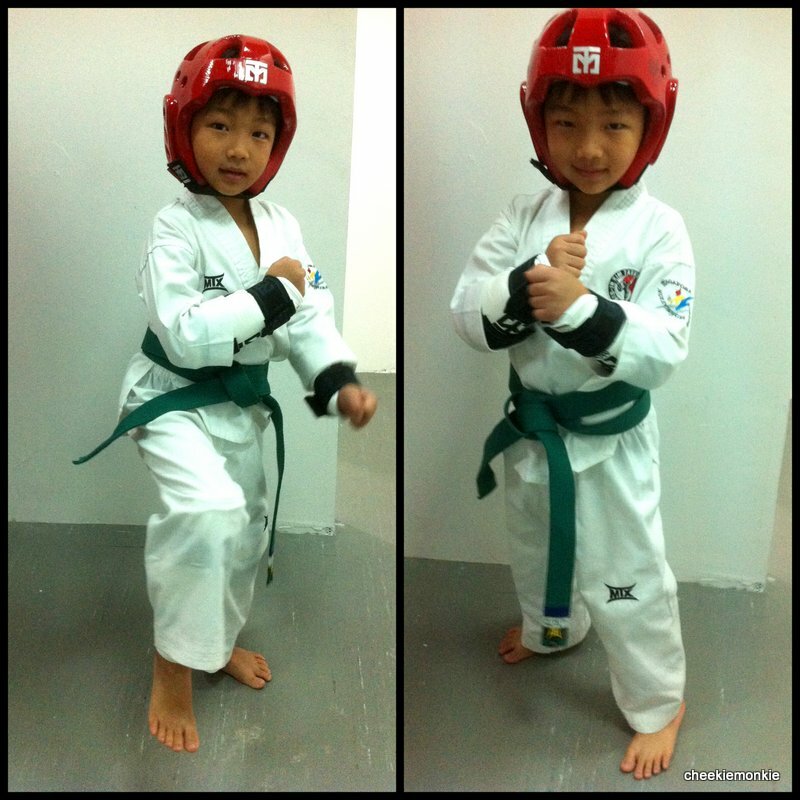 Ayd also used to attend Taekwondo lessons with his brother as well. But over the course of one term, we realised that it may not be the right fit for him, as each lesson was usually accompanied by at least one crying fit. Suffice to say, Ayd doesn't quite possess the athletic streak like his older brother. Just the other day, the wifey was teaching the 2 boys how to do a forward roll on the mattress. Ash got it almost instantaneously. As for Ayd, he took a grand total of 2 nights to finally master it. At least he had the determination to accomplish it no matter what. And this is what sets Ayd apart from Ash - resilience. Of the two, Ayd is the one who tends to follow through whatever task he is given, no matter how long it takes. And perhaps, this is the reason why he loves his arts and crafts. Give him a blank piece of paper and watch his eyes scroll upwards & downwards while his fingers go about translating his thoughts onto the paper. So now, Ayd goes to an Art class while Ash attends his Taekwondo lessons. And I love it how Ayd always prefers to take his teacher's demonstration as a guide and inject his own interpretations during his art lessons. The tiger has got to be one of my favourite piece from Ayd. He added the trees, clouds and sun on his own. Quite a sad-looking bird, huh. This was supposed to be a bullet train against the backdrop of Mount Fuji. But he said he is more familiar with the MRT, so he drew that instead. Ayd said he loves to play with water, so that explains why he drew the umbrella so much smaller than the person's head. Haha. So yes, both brothers are quite different in their own right. But at least they do have one thing in common - they both love their baby sister to bits! Which leads me to think, how will Ale turn out??? wondering where Ayd is taking the Art Class as am looking one for my girl (6 yrs old). Please email me at kelvin@cheekiemonkie.net for Ayd's art school as I prefer not to say it here. My girl used to attend Art and Craft lesson when she was in kindergarten but has stopped when she started P1 this year. Wish to enroll her to a drawing class again. 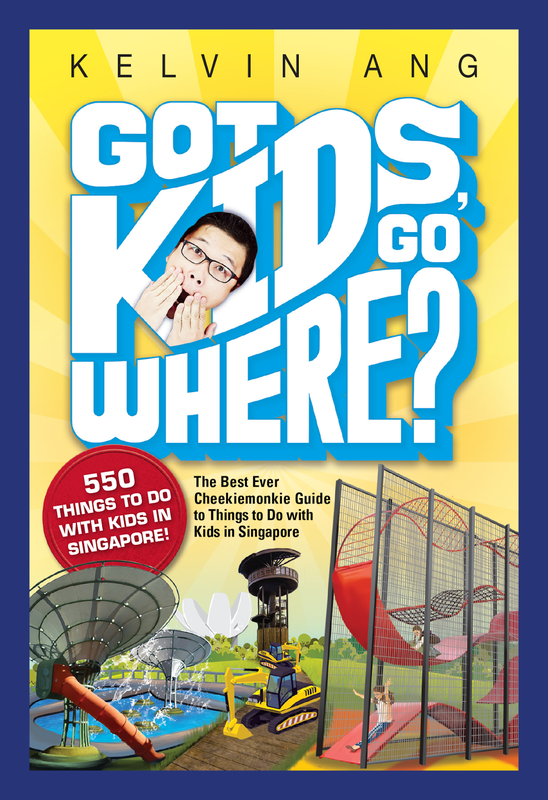 Could you share with me where Ayd is taking his Art class? Ayd used to take his art classes at Art Boot Camp at The Grandstand. He has since stopped already as he wants to try something else.